The data was added on ,	6 June 2017 read 543 times. 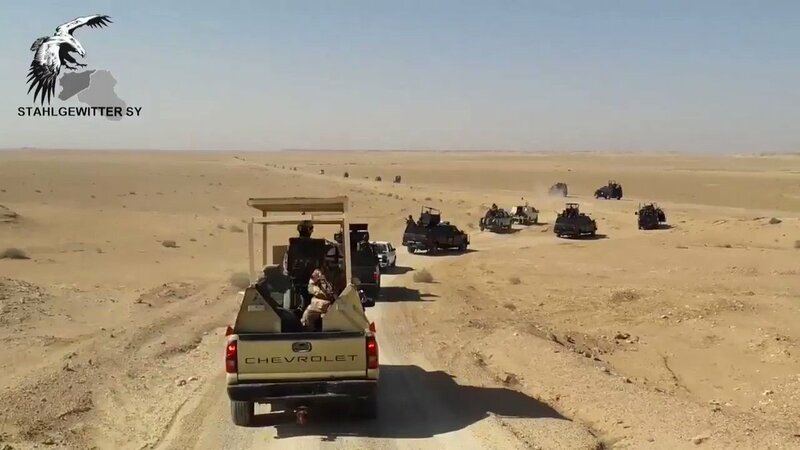 A large convoy of Iraqi Popular Mobilization Units (PMU) has been noticed moving towards Iraqi-Saudi border. This comes amid sharpening tensions between Saudi Arabia and Qatar as the latter is on the verge of partial diplomatic isolation. According to Sumeri, Iraqi authorities have already built a Najaf – Karbala – Saudi border defense line, and current deployment of PMU is the next stage of Iraq’s security build-up near southern border. It is also noteworthy that Iraqi government openly expressed support for Qatar in their conflict with Saudi Arabia, saying that “Qatar is being unfairly accused”.